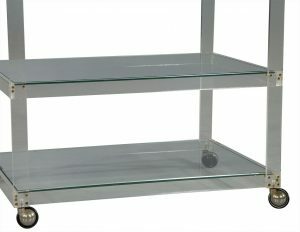 This mid-century modern serving cart is a Carrocel Original. 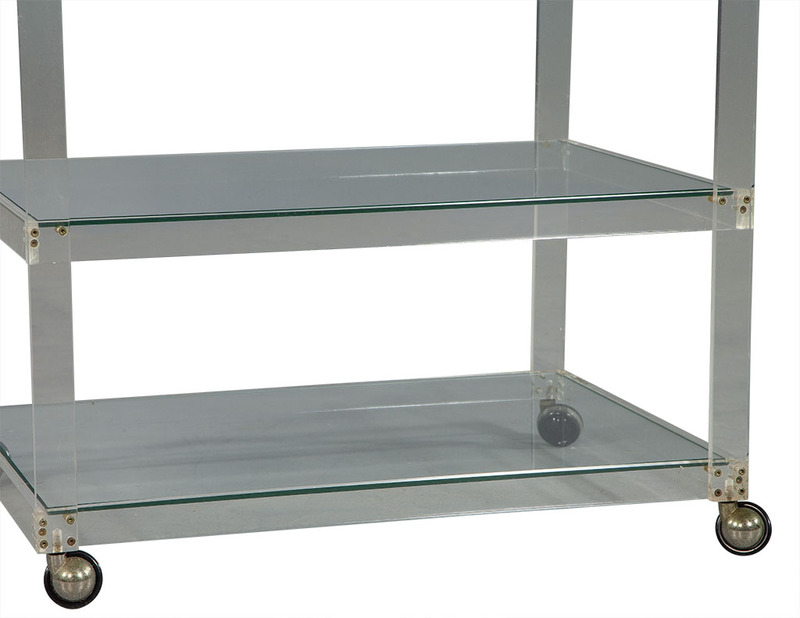 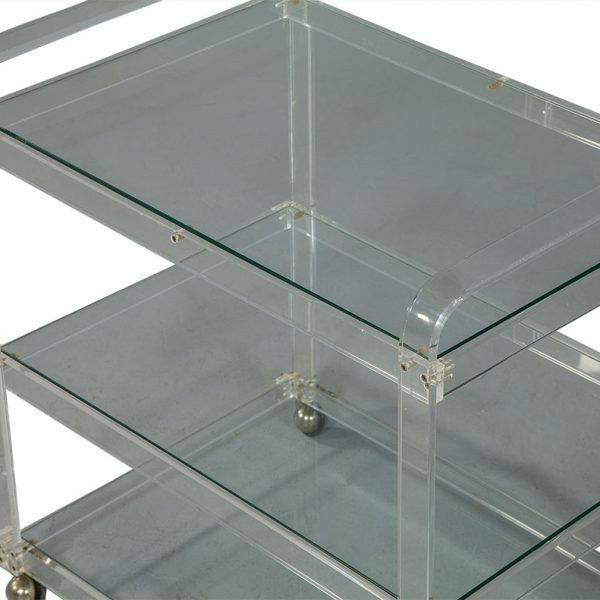 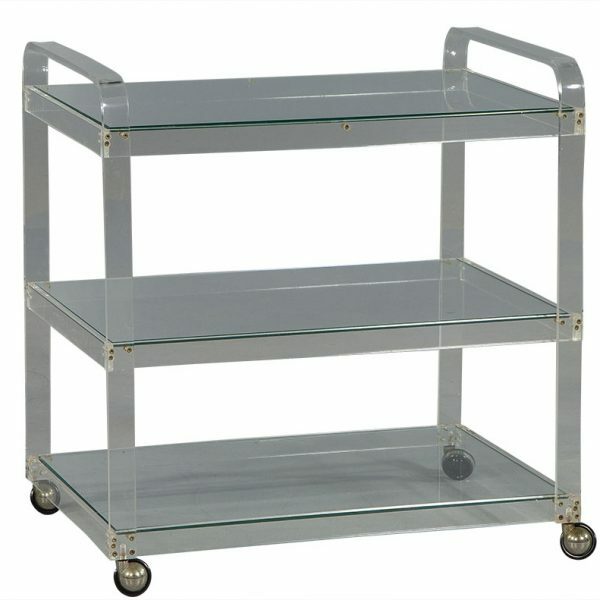 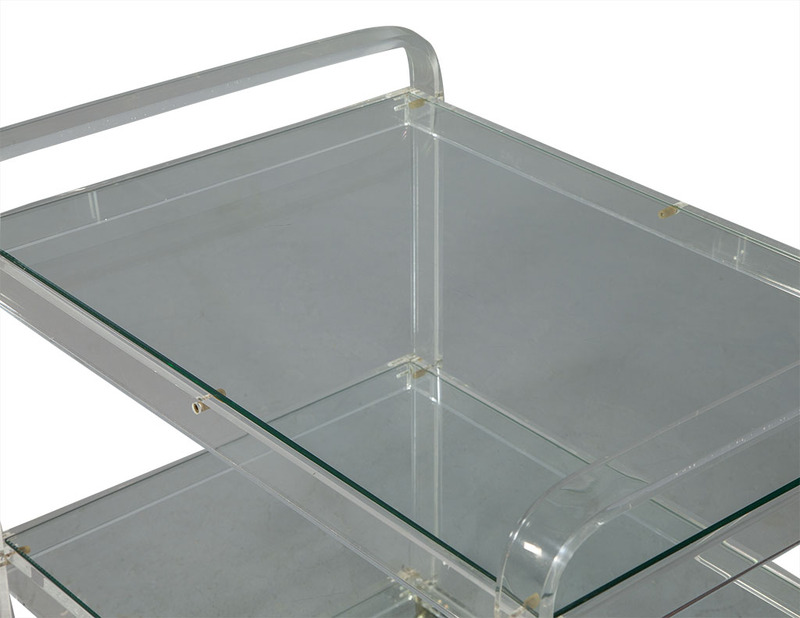 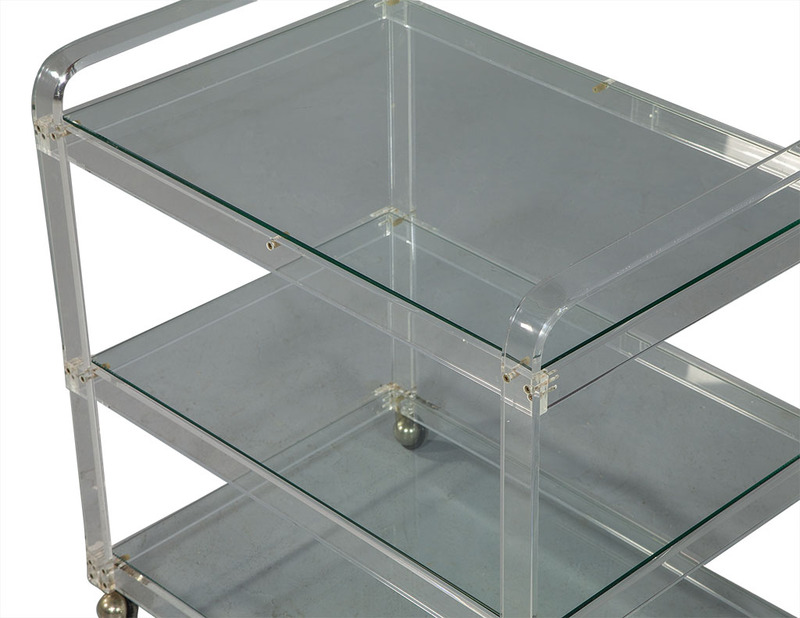 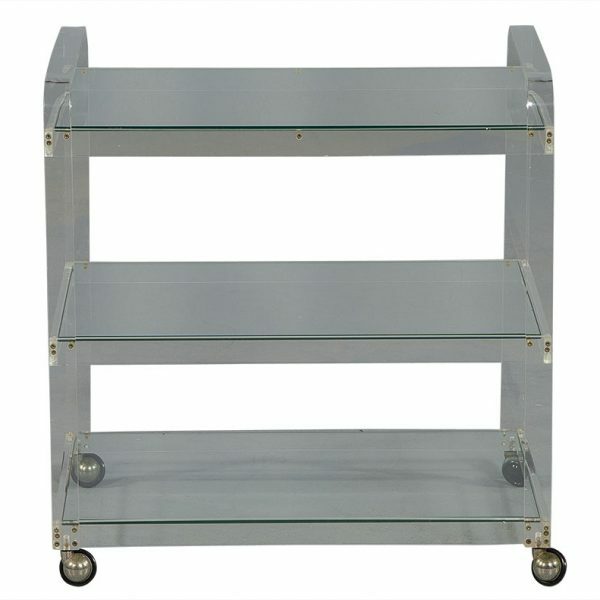 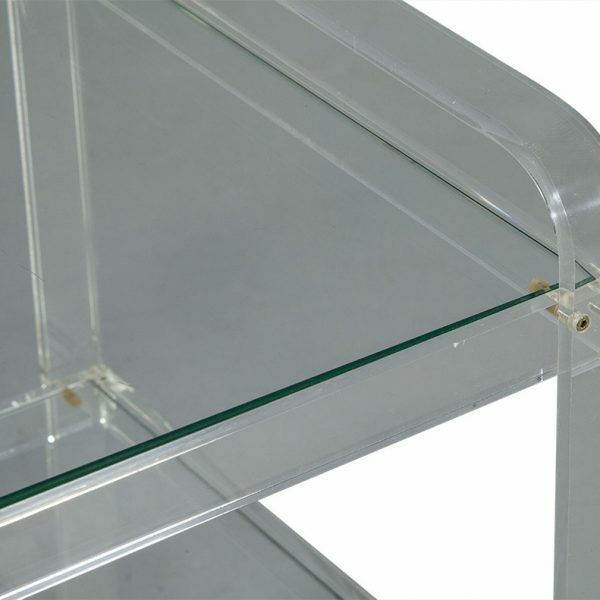 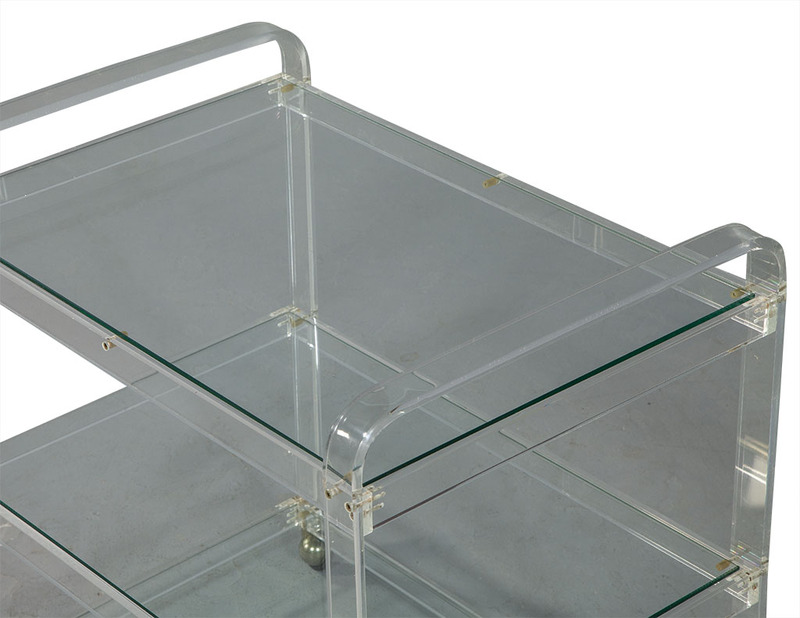 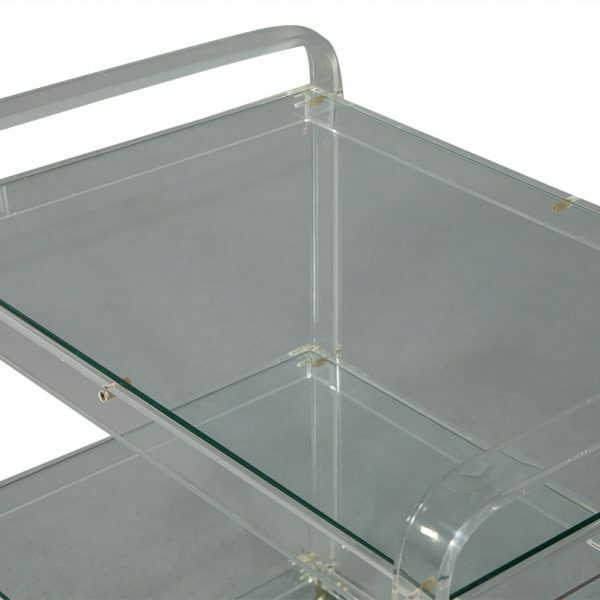 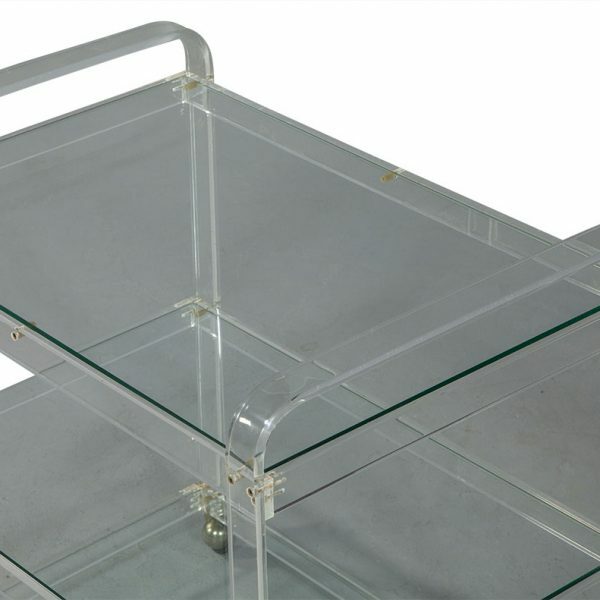 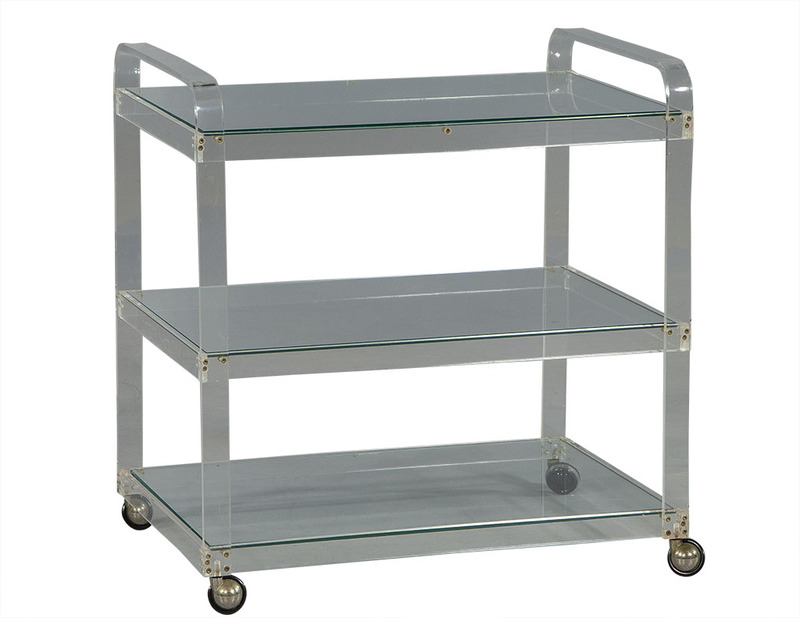 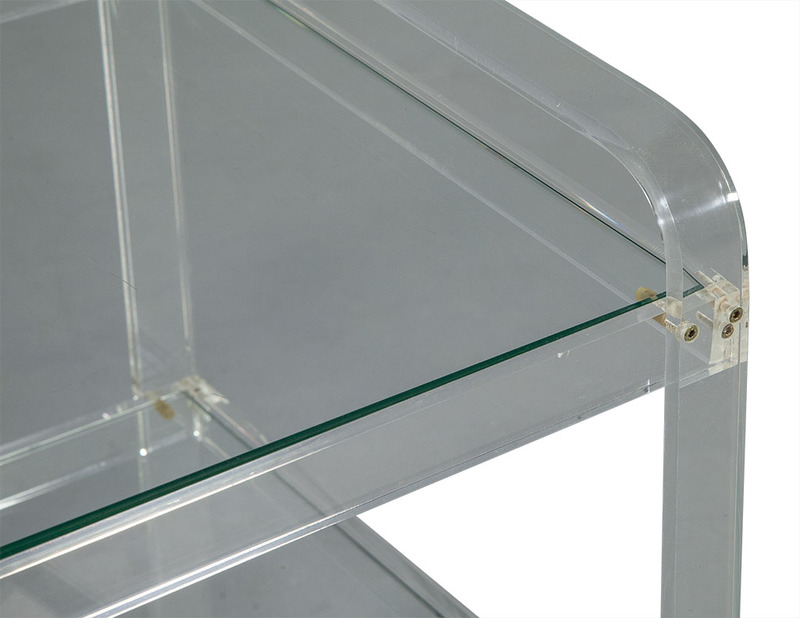 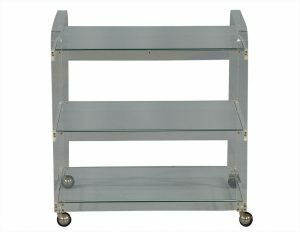 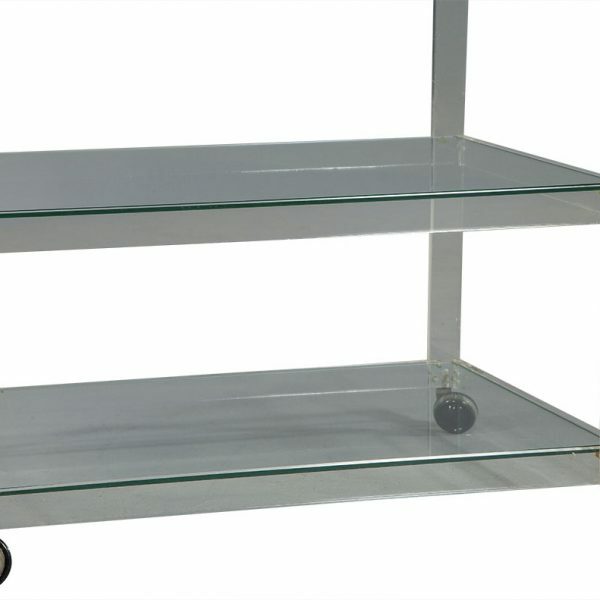 It is crafted out of Lucite with three glass shelves and rounded handles on the top. 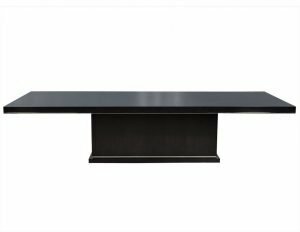 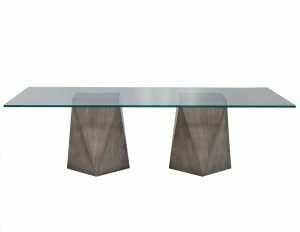 The piece sits atop casters for mobility and is perfect for entertaining.